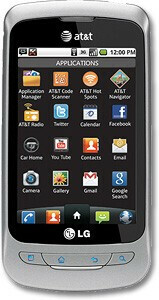 Certainly it was bound to happen, especially when so many carriers far and wide have their own variants, but it appears that AT&T is finally getting its own version of the popular LG Optimus One. Surprisingly though, we’re not simply greeted with one exact model, but rather, we’re presented with two different ones that accommodatesboth prepaid and postpaid. First and foremost, the LG Thrive is being positioned as the very first Android powered smartphone for AT&T’s GoPhone prepaid service. Fittingly, it seems to compete very well with Boost Mobile’s recent Samsung Galaxy Prevail because it’s priced at $179.99 no-contract – making it one truly affordable smartphone. Naturally, the specs aren’t all that ground breaking, but it suffices to say the least to offer a reasonable experience. Some of its features include a 3.2” touchscreen, 600MHz processor, 3.2-megapixel auto-focus camera, Bluetooth, Wi-Fi, microSD card slot, and powered by Android 2.2 Froyo. Conversely, AT&T is making the same handset available as a postpaid option, but it’s being given the name of the LG Phoenix. Aside from the different colored paint job, the two handsets are identical in almost every way. However, the LG Phoenix carries a price tag of $50 with a 2-year agreement. Surely they are the last of the major wireless carriers to announce a variant of the LG Optimus One, but as always, it’s better late than never. Lastly, both devices will begin to go on sale through AT&T stores and online starting on April 17th. Did they just lift this off the engadget page?? Naaaah .... Phonescoop. Says so right on the bottom of the page. i wonder if i just buy the prepaid thrive or whatever it's called and plug in my sim card from my quick messaging phone will my data and texting package still work until my contract runs out?? It'll work until AT&T sees that you are using a smart phone then they will change your plan accordingly. And it's very quick when I did that with a friend's captivate AT&T changed my plan the next day. so since i have $15 unlimited data on my qmp, it'll change to the capped 200mb $15 data plan right? yep system sweep will add a $15.00 data plan to your account. 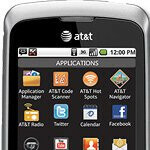 Will AT&T LG Optimus One cell phone work in the 2011 BMW 7 series?